The PhD involves three years (five years if part-time) of independent research under the guidance and expertise of a supervisory team. This degree will allow you to explore your areas of interest at the most advanced level and help you to become a specialist in your chosen field. As well as providing you with a range of transferable skills and high quality training, undertaking a PhD will help you prepare for a range of careers in research, academia and beyond. We welcome applications that include practice-led research. A PhD involves researching and writing a thesis of up to 100,000 words on a topic of your own choice. Your thesis should make an original contribution to knowledge and scholarship by, for example, uncovering unknown or neglected information or by interpreting existing information in an important new way. includes a written submission of 15,000 to 50,000 words, which provides an exploration of your research questions(s) and demonstrates how your research is embodied in your practice. See here for more information about undertaking a practice-led PhD. While undertaking your supervised original research project with us, you will follow a programme of PhD research training (some of which may include the auditing of taught courses). As a PhD student, you will also participate in the intellectual life of the School through research seminars, conferences and other events. At the end of your first year, you must pass a rigorous transfer before you can proceed to doctoral level in your second year. This will involve a written submission of approximately 10,000 words and a viva-style oral examination by a panel separate from your supervisory team. You will also give a symposium paper to your peers. We will monitor your progress with regular reviews, which take place at the end of the first six months, and then at the end of every year following your transfer to full PhD status. To complete your PhD, you will submit your thesis and will be orally examined by internal and external examiners. Our PhD programmes can be taken on a full-time (three years standard) or part-time (five years standard) basis. Before submitting your application, you will need to consider who will supervise your research project. Our community of highly-regarded academic staff pursue active research in an unusually broad, though interlinked, range of domains: from the social and critical theories of art and theoretical cultural studies to critical heritage studies, feminist art history, and new approaches to curation and museum studies. You can find out more about potential supervisors for your PhD by visiting our staff profiles. 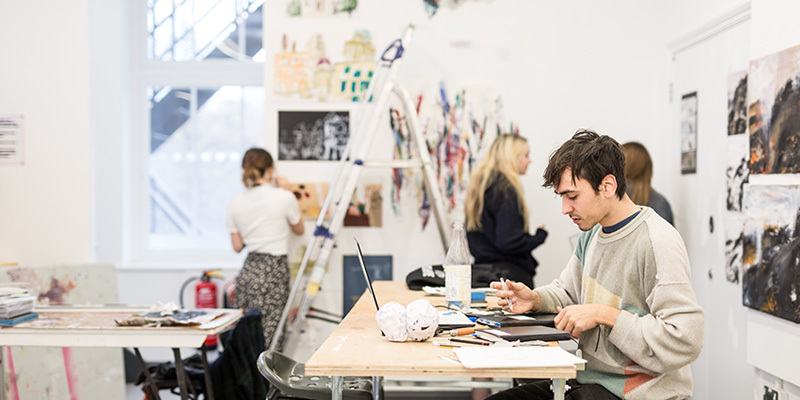 We offer a diverse range of research and teaching areas across our School, covering British, Russian, French, African, Far-Eastern and American studies, and ranging from classical Greece, the Middle Ages and the Renaissance, to the 18th, 19th, 20th centuries and contemporary art, theory and culture. This is not an exhaustive list, so if you have a particular interest or an idea for a proposal, please contact us. As the School continues to expand, there will be further areas of research available. For up-to-date information, visit the research and innovation section of our website.